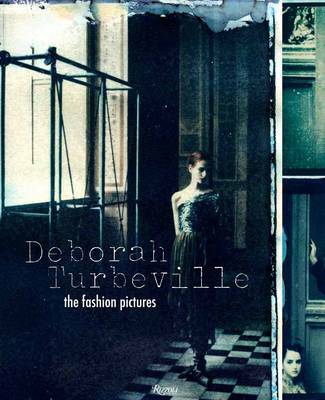 From internationally acclaimed photographer Deborah Turbeville comes the first book on her highly influential visionary avant-garde fashion photography. Celebrated for her poetic grace and cinematic vision, Deborah Turbeville has produced fashion tableaux that draw the viewer into her otherworldly environments. A romantic and modernist, Turbeville bridges the boundaries between commercial fashion and fine arts photography. In this remarkable presentation, Turbeville reveals her highly individualistic point of view of fashion photography and the stories behind her photographs. This first retrospective presentation of Turbeville's fashion photography was selected by the artist herself. In addition, she has designed the evocative layouts to create yet another masterwork. The presentation includes Turbeville's most famous photographs, among them the controversial Bathhouse series of 1975 for American Vogue with disturbingly isolated figures and her Woman in the Woods series of 1977 for Italian Vogue showing psychologically charged emotions, along with her numerous photography campaigns for labels like Sonia Rykiel, Valentino, Yamamonto, Ungaro, and Commes des Gar ons, as well as commissions for Chanel and work that has never been seen before. Her most current project for Casa Vogue--Italian nobility dressed in special couture outfits--evokes Turbeville's vision of everlasting beauty.